You’ll find Maine golf courses with sweeping mountain vistas, spectacular ocean views and peaceful lakeside scenery. 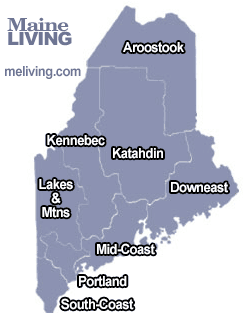 Maine offers fantastic country clubs and public golf courses statewide. Maine is an ideal golf vacation destination. A Robert Trent Jones golf course located in the Western Lakes and Mountains region is as breathtaking as it is challenging. The oceanside golfing at one of Maine’s coastal resorts is known as the Pebble Beach of the East. Ask us about Maine Golfing or share your golfing comments. To feature your business, contact us.